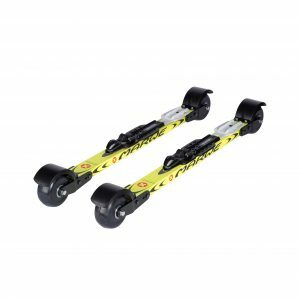 Due to these properties Marwes aluminium skating skis are the favourite choice for numerous national and international roller ski and summer biathlon races. They are also a bull’s eye choice for hard training sessions and other situations where both the athlete and their gear must last from the starting point till the podium. The Skating 590A is the easy companion to learn skating skiing without snow. Wider wheels make skiing easy and provide improved balance characteristics. With these skis learning to roller ski is easy and safe. To compete and train like the champions – 610A is the ultimate choice. This model is the standard competition ski used for example in the IBU biathlon summer world championships, national and international roller ski competitions and world cups. 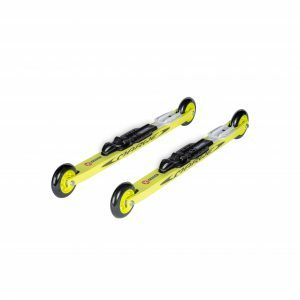 It is a fast and agile ski, which is suitable for even high-paced agility training. For these reasons the 610A is our most popular and most sold ski model.